We designed the Prospector 15 especially to maneuver easily, carry ample gear and run dry through lesser whitewater, such as rapids and riffles that are common on small winding rivers. Yet you'll be pleased with its performance on the lakes, as well. This Prospector is one-foot shorter and slightly wider than our Prospector 16. It has a steeply rockered hull for extreme maneuverability, extra depth for confidence, and plenty of stability. Actual colors may vary due to display differences. May not be the Prospector 15. Shown with optional black aluminum trim. T-Formex canoe shown with Standard Options, may not be the Prospector 15. 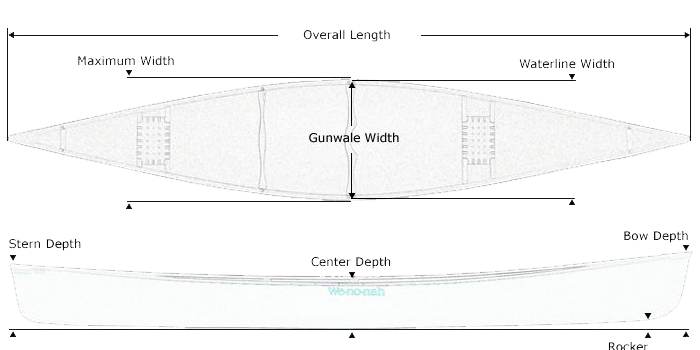 Tuf-weave® Flex-core canoe shown with Standard Options, may not be the Prospector 15. 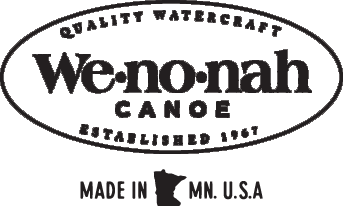 Kevlar® Flex-core canoe shown with Standard Options, may not be the Prospector 15. Kevlar® Ultra-light canoe shown with Standard Options, may not be the Prospector 15.